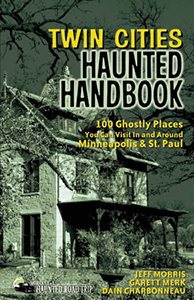 Today we join the authors of the Twin Cities Haunted Handbook on a trip to the Minnesota State Fair! History: The first state fair to occur on these fairgrounds started on September 7, 1885. The site was chosen because it was about halfway between Minneapolis and St. Paul. Each city had previously had its own fair, and the state wanted to hold just one giant fair everyone could attend. As the years have passed and attendance has increased, the Minnesota State Fair has become the largest fair in the United States in terms of daily attendance. On September 7, 1901, a week to the day before becoming President of the United States, Theodore Roosevelt made an appearance at the Minnesota State Fair. Many of the buildings and rides in the fairgrounds have been around for many years. 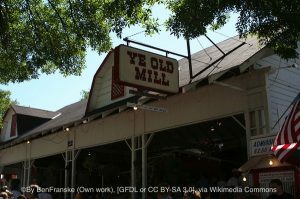 The oldest ride in the fairgrounds, Ye Old Mill, was built in 1915. It is a series of dark tunnels that you float through on a small boat. Children’s music plays in the background, and small fairy tale scenes are displayed from time to time throughout the ride. The other ghost haunts the area around Ye Old Mill ride at the fairgrounds just off Wright Avenue, adjacent to the grandstand. For many years, a man named Wayne Murray was a maintenance worker at Ye Old Mill ride. Murray passed away in 1986, and soon after his death, something strange began to happen at the fairgrounds. Every year since 1986, a small brown bird flies into the fairgrounds and disappears into Ye Old Mill ride. Those who have witnessed this bird appear year after year for the fair say that it is perhaps the ghost of Wayne Murray, keeping an eye on the ride that he spent so much time working on. 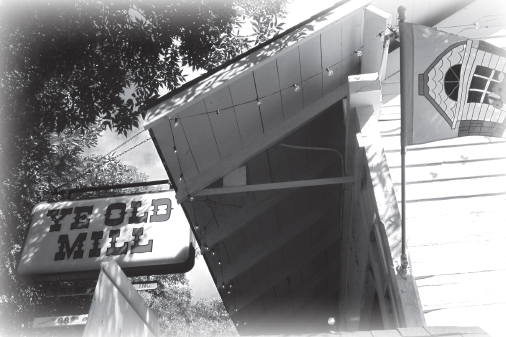 Other witnesses report strange things happening while riding Ye Old Mill ride. People will feel a presence behind them in the boat even though there is no one there. Others feel someone tap them on their shoulder despite there being no one behind them. Visiting: The fairgrounds are open for the Minnesota State Fair for 12 days a year. The fair ends on Labor Day, so it typically runs from the end of August until Labor Day in September. This is the only time that you are able to actually ride Ye Old Mill ride. The fairgrounds are open from time to time throughout the rest of the year, though, as other events are regularly held at the fairgrounds. These other events are constantly changing, so you need to check the schedule on their Web site in order to tell when the grounds are open to the public. Directions: From St. Paul, take I-94 North for about 3 miles to exit 238, Snelling Avenue. At the end of the exit ramp, turn right onto Snelling Avenue. Follow Snelling Avenue for a little more than 2 miles. The Minnesota State Fairgrounds will be on your left. They are huge and you can’t miss them. To get to the grandstand, take a left onto Dan Patch Avenue.